quickly and easily see which apps are consuming the most data on your phone. For Pro users, that data usage is broken out by network for more granular detail. Also for Pro users, there is a new Data Saver feature will alert you if you are using your data plan and not Wi-Fi. This will help you eat up all your data on your Fi plan unknowingly. Finally, there are some general bug fixes and improvements. 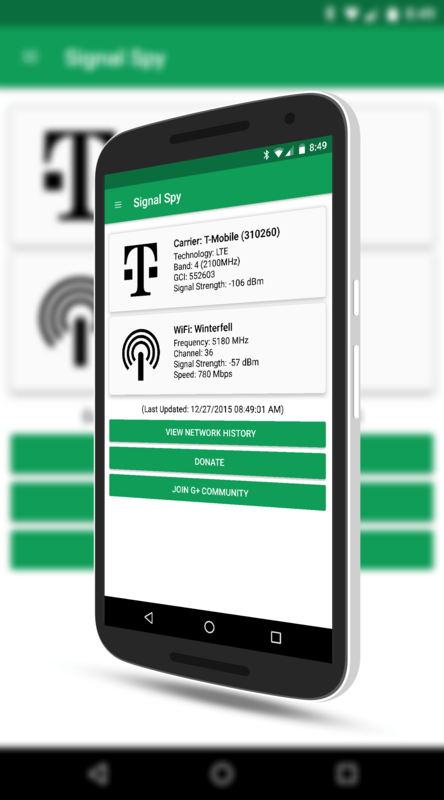 Signal Spy is a free app and is ad supported. By purchasing the $2 Pro level you lose the ads and gains several Pro features with more continually in the pipeline. If you haven’t read my review of the app, you can do so here.